In the past 4 years we had the joy and honour to receive the visit of our Scottish Friends from St.John’s Academy in Perth – another gift from Sister Aloysius Legacy left on Romanian Land. Each year these great kids are fundraising to make this visit possible and to be able to help the hospitalized children from M.S.Curie Hospital and Recovery Centre. << „The Romanian Night” during this year’s visit to the Mercy Project („Voluntar in Spital”) came as a fantastic surpise. The traditional Romanian welcome was great. We were met with Romanian welcoming bread and salt (provided by Silvia). There was then a range of bread, meats, cheeses and olives, then sarmale with polenta (made by Iuliana), sour cream and fresh chillies. Then a cornucopia of desserts, which we failed to finish. Romanian dancing followed then a rendition of the ”Skye Boat song” by Katherine and Frankie. We completed the splendid evening with ‚Auld Lang Syne” in the traditional Scottish way. >> Pauline Ward – Teacher and Group Coordinator. 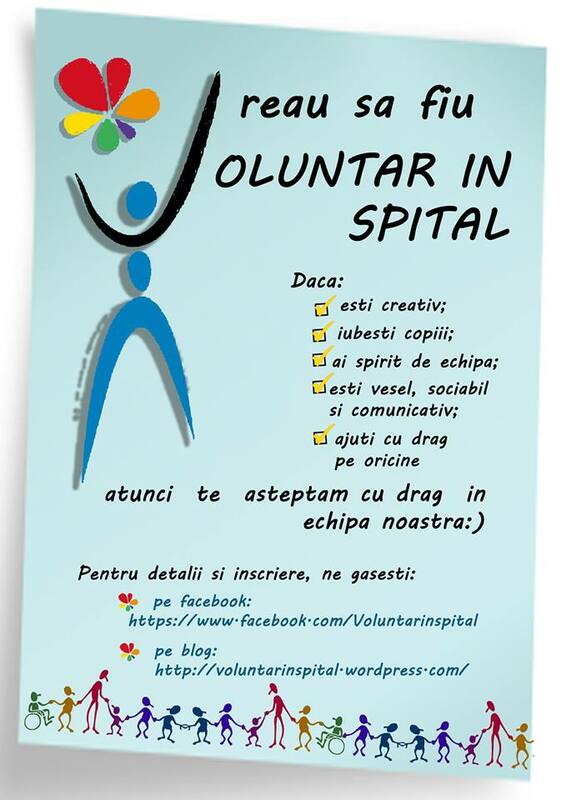 Banii care s-ar fi dus la bugetul de stat ne pot ajuta sǎ continuǎm munca de voluntariat în spitale. Trebuie semnat (doar) un contract de sponsorizare înainte de sfarșitul anului. Multumim AXELSOFT IT GROUP pentru sustinere! Datorita donatiei lor generoase (sfarsitul anului 2015) am reusit sa “acoperim” anul 2016 [[in materie de produse de igiena si materiale mult necesare desfasurarii activitatii “VOLUNTAR IN SPITAL” ]] ! Avem astfel pampers si produse de igiena pentru copilasii veniti din centrele de plasament (la tratament) in spitalul nostru. Zeci de activitãţi de grup ȋn Centrul de Recuperare N.Robãnescu ….